Google Drive Handler for Amiga released! 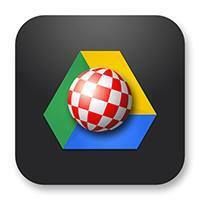 Developers gives Amiga magic moments and this Google Drive Handler release is no exception! Norbert Kett released this new app for Amiga community yesterday and it is a Dos handler that allows easy access to Your Google Drive storage. This app requires AmigaOS 3.x, 68020 28MHz, 8MB RAM and Amiga 68k with Internet connection. The cost of the license is 10 EUR.